Looking for a unique gift for a little boy's naming day? 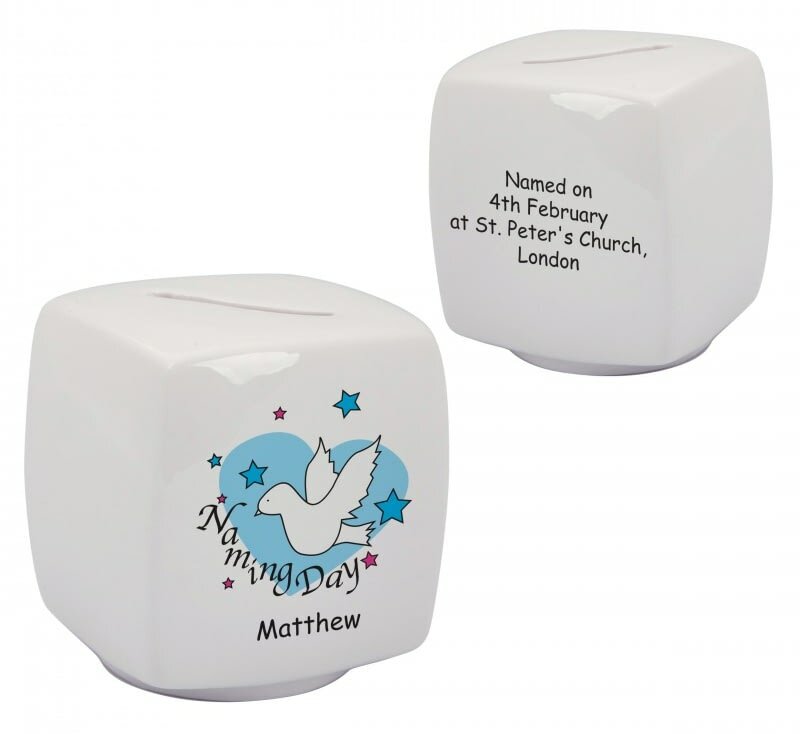 This moneybox is adorned with a cute dove and heart alongside his name. Making sure he gets the best start in life and to encourage saving for the future, this china moneybox will be cherished as he grows.